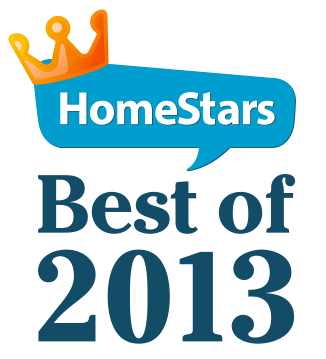 The “Best movers of 2013” list by HomeStars.com has just come out, and once again Cargo Cabbie Toronto movers has been rated the best choice for moving and storage in Toronto! As online reviews become the core base of every reputable business, we understand how important it is to leave satisfied every single client. We’d just like to say… thanks to the HomeStars team for maintaining a great forum for people to come and share their experiences, write reviews and to help other consumers make informed decisions and choose the right business for them, and also to our amazing customers. Thank you to all of you who took the time to write a review about us, and to everyone who gave us a “10” rating. Which was… all of you. That’s right. 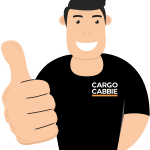 Two years and hundreds of reviews later Cargo Cabbie still has a perfect “10” rating, and we couldn’t be happier. 2013 was a great year for us. We got a lot of recognition by the Toronto media, and were featured in BlogTO and the TorontoStar. Thanks to these features, our presence on HomeStars, and word of mouth from our contented clients, we saw a huge increase in business. You can hardly ask for more when growing as one of the best moving companies in Toronto. But with more business comes more responsibility, and we knew we would have to work twice as hard to if we wanted to continue to be on top. After being voted Toronto’s Best Movers of 2012, we had our sights set on 2013. Anything less than Best of 2013 would have been a disappointment for us, but everybody, and I mean everybody on the Cargo Cabbie team really stepped it up and put in their best effort to make sure we continued to be the best. And this won’t change anytime soon, because with every move we do we set out to do it perfectly and to make sure you have the best experience possible on moving day. There’s no secret to what we do. It’s just good business we think to make our customers as happy as possible by the time we leave each job. We do this by making sure our charges are upfront and transparent. We’ll never sneak charges onto your bill, and will keep you informed on the billing every step of the way. We also do our best to come to each job with a positive attitude. Clients are often shocked at how friendly our teams are. Our professional movers have pretty much seen it all when it comes to moving in Toronto, so we know what to expect. We also know that moving is stressful enough for our clients, and the last thing they need are surly, cranky movers. We also won’t sacrifice professionalism for friendliness. We still do each job as carefully, efficiently, and as professionally as possible. We just do it with a smile as well. I think the heart of our success comes from the fact that we are proud of what we do. You can’t be the best if you don’t care about what you are doing, and this is not the case for us. We want to change the way people think about moving, and movers. We honestly believe that we are performing a valuable service for our clients, our community, and the city of Toronto. We take what we do seriously, and we believe it reflects the quality of the work that we do. We’re happy to be the Best Movers in Toronto for two years in a row, but we won’t stop there. We’re already looking to the future, thinking about how to grow our business while maintaining the quality our customers have come to expect. We will do this by looking forward to our next move and making sure we do our best job possible. And do the same for the one after that, and the one after that, and so on. Thanks again to everyone who chose us and made this possible!